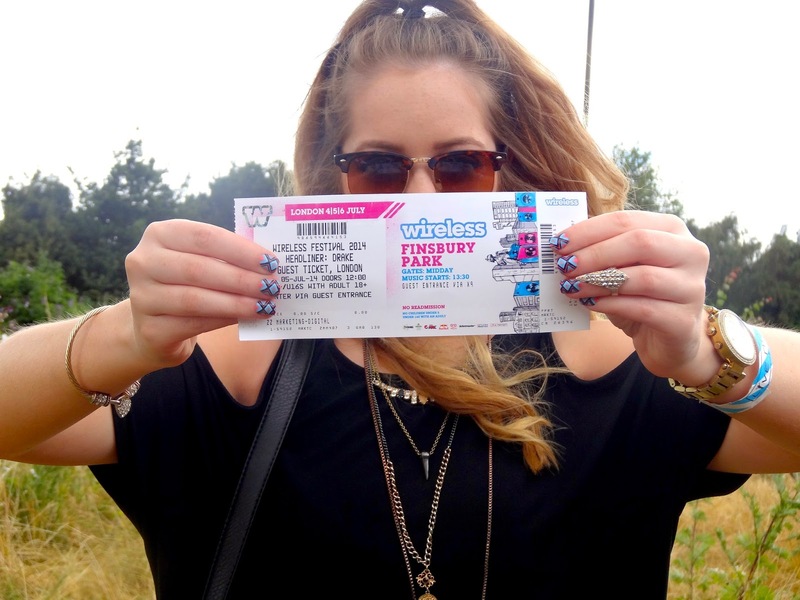 Last weekend we attended Wireless Festival at Finsbury Park in London! We have been to many concerts in the past, but this was actually the first festival we have been to! We also went with our older sister Courtney! We firstly went to the office to pick up some of the lovely letters that you guys had written us! Thank-you so much! 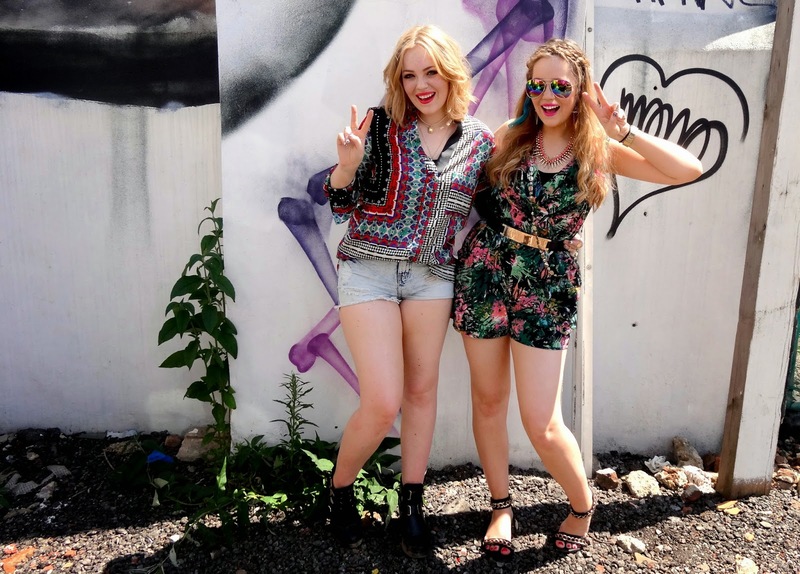 We then found some really cool graffiti walls in Shoreditch, and as we were filming a Festival OOTD for our channel! We then got the tube to Finsbury Park, and as you could imagine, it was very busy, and extremely hot! Friday was definitely a super hot day, but perfect weather for a summer festival! I decided to change clothes as the sun was shining and I wanted to wear my Kimono Maxi Dress! This dress was from Zara, and I thought it was the perfect festival piece! I really wanted something that was going to be floaty and boho styled! I teamed this dress up with Lydia's denim shorts from New Look, which were a light washed denim. 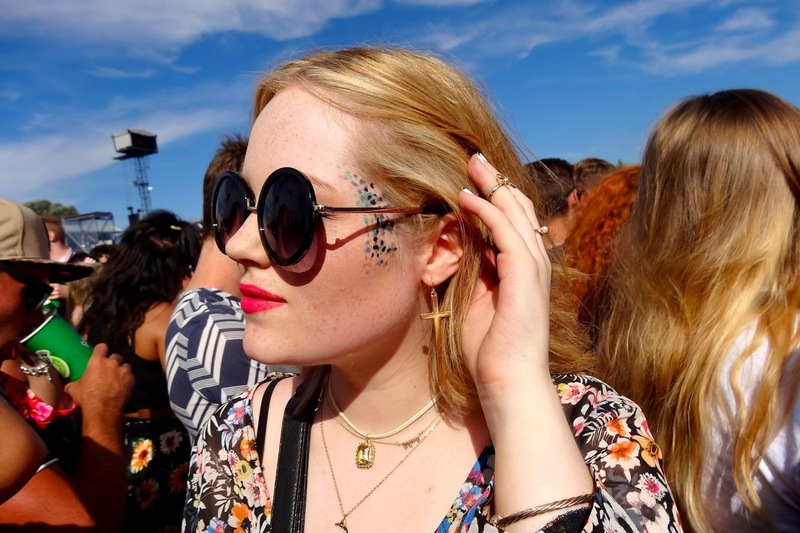 Accessories were key for a festival look so I wore my new Topshop layered necklace that I am obsessed with at the moment and I also wore my favourite sunglasses which are my black round ones from Primark! I am defiantly going to buy some more of these! I wore my Mr Shoe buckled boots, which were probably a bad idea as it was so hot! 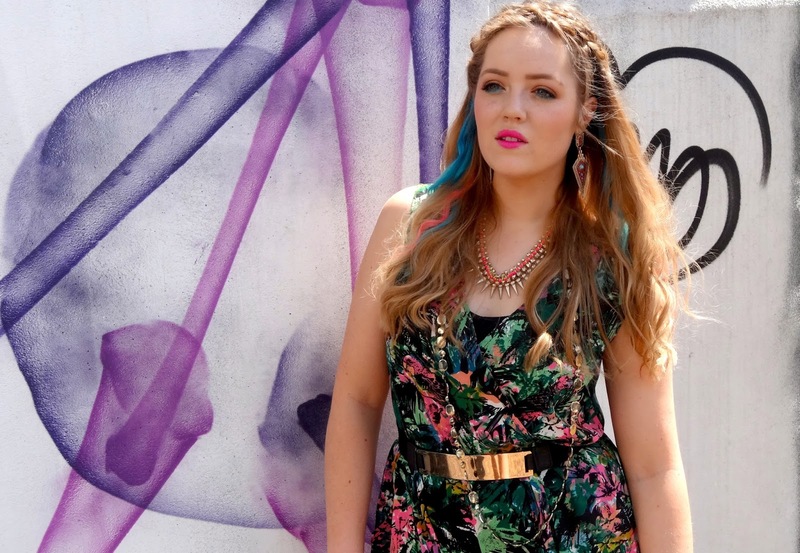 Lydia wore a New Look tropical printed playsuit with her Primark black chained sandals, which are the most comfy sandals ever! 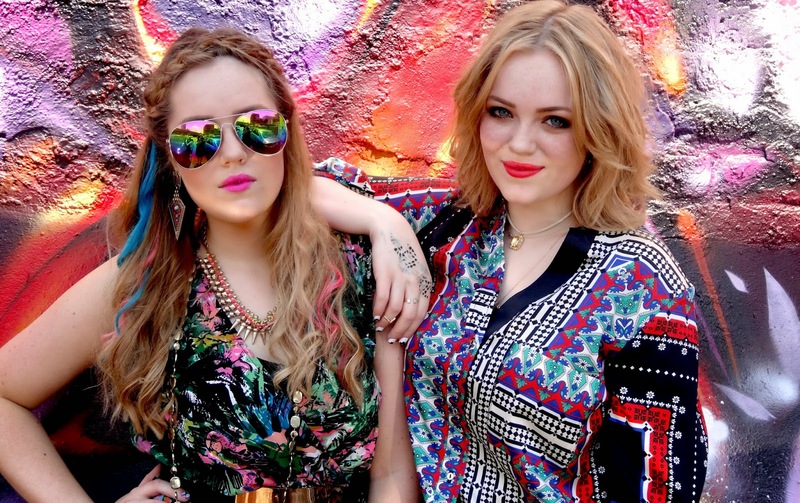 For a festival touch, she used her LO'real hair chalks in pink and blue and did her hair in a braided crown hairstyle! We both wore Primark nails that surprisingly stayed on most of the day! Lydia also layered on lots of jewellery to finish her festival look! We will be posting an OOTD Lookbook video for our YouTube channel very soon, where you will be able to see close up's of the clothing and accessories we wore throughout the weekend! The atmosphere was very chilled in the VIP guest area, it was lovely to sit out on the bean bags and enjoy the sun! We saw Iggy Azalea, who was amazing! It was such a good atmosphere rapping along with her and she also brought on Rita Ora! Tinie Tempah also put on such a good show, he was defiantly one of our favourites from the weekend! Kid Ink was also really good! When he sang 'Show Me' the crowd went crazy! Kanye West was the headline act for Friday. He was really good live and his 20 minute rant was absolutely hilarious! It wouldn't be a Kanye West show without a rant! 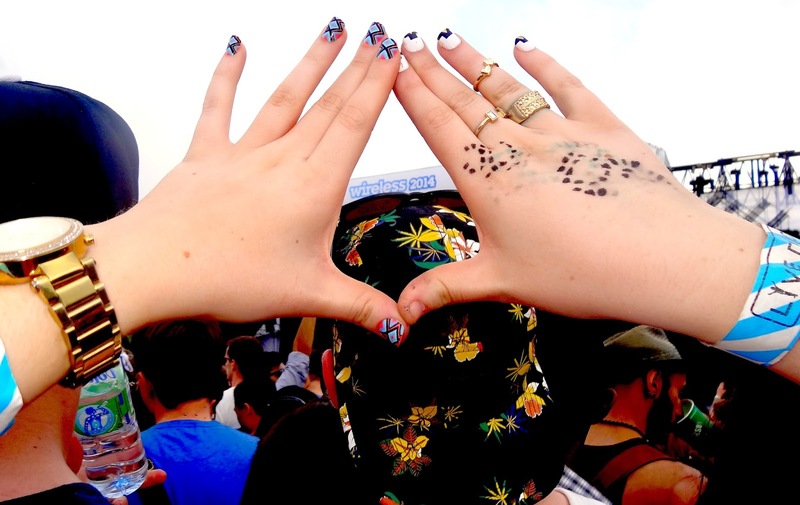 We definitely would love to go to more festivals in the future as this was so much fun! 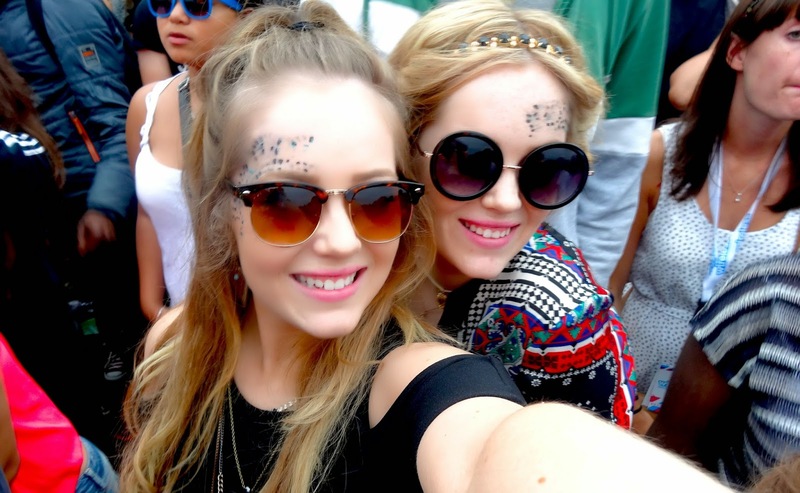 We would love to also go to V Festival next year too! 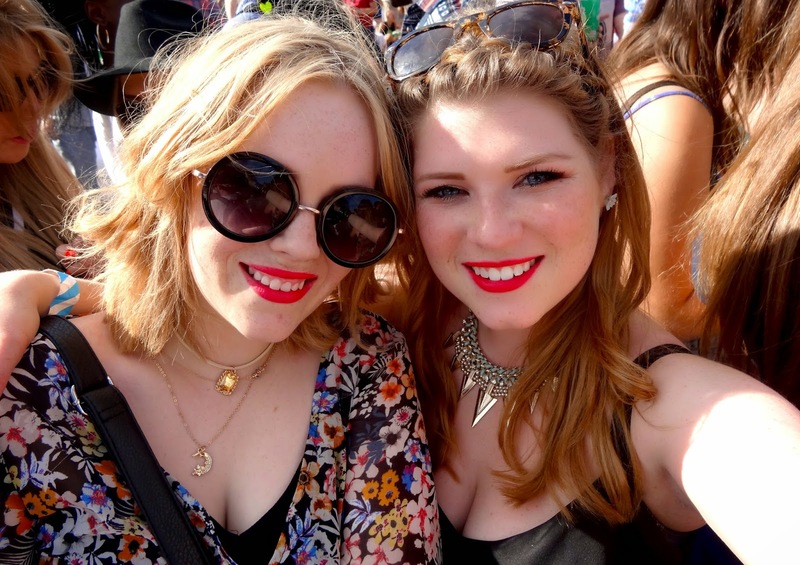 We will be uploading a VLOG from Wireless festival too! I love the hair chalk and what you were wearing !!!!!!!!!!!!!!!!!!!!! Festival and events is for public and it provide the stalls for girls and kids. This assignment help online site has the complete information about the festival. Festival is god t send the quality time with friends and families.